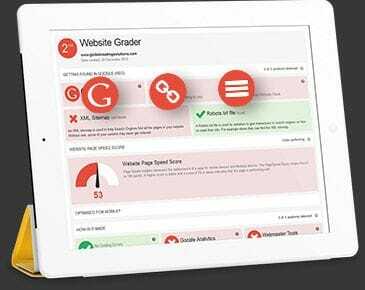 The Bloomtools SEO Program is a complete optimisation package for your business. Our team of expert SEO consultants will take an in-depth look at your website to determine which areas of your site are under-performing. They will then implement multiple strategies to boost your search engine ranking. You will be provided with detailed monthly reports covering the strategies used by our team for your website and the results. Our team will assist you in the creation of a list of keywords that will be used to optimise your website. Once your keywords have been confirmed, our SEO experts will advise you on using the keywords throughout your site for search engines to pick up on. You will be provided with a report detailing a step-by-step action plan to get your website on track. Our team will provide you with several strategies for you to implement on your site in order to improve your ranking. Once these actions have been implemented, an increase in search engine exposure will take place fairly quickly. Search engines place enormous weight on the quality of links pointing to your website. Links need to be managed with a high level of attention to quality. Our campaigns source 'ethical' links from the Internet, managing set up and ongoing maintenance. Every month, 10 new web sites will be contacted in an effort to increase your search engine positioning. Our team is available for contact by email and phone from 8am to 5pm Monday-Friday EST. We pride ourselves on our response time, so you aren't left waiting for answers. Using state of the art technology, we will track search engine visitors into your web site. This high level of reporting will allow us to track the results of your SEO Program and pinpoint other areas for improvement.